It's a new year with new goals! One of the most popular diet change is to be gluten free! Many people simply cannot eat it without getting sick, while others use it to eat healthier and lose weight. For some the need to eat gluten free can feel overwhelming and daunting. When so much of our food is based on wheat, avoiding it can seem impossible. Whether you are gluten free by choice or by necessity, it's not the end of the world! There are so many products and resources available at reasonable costs! I switched to gluten free almost two years ago, and even in that time I have seen more variety at more locations. I found bread that tastes good! For all of you eating gluten free, here's some tips and tricks I discovered to help you on your way! 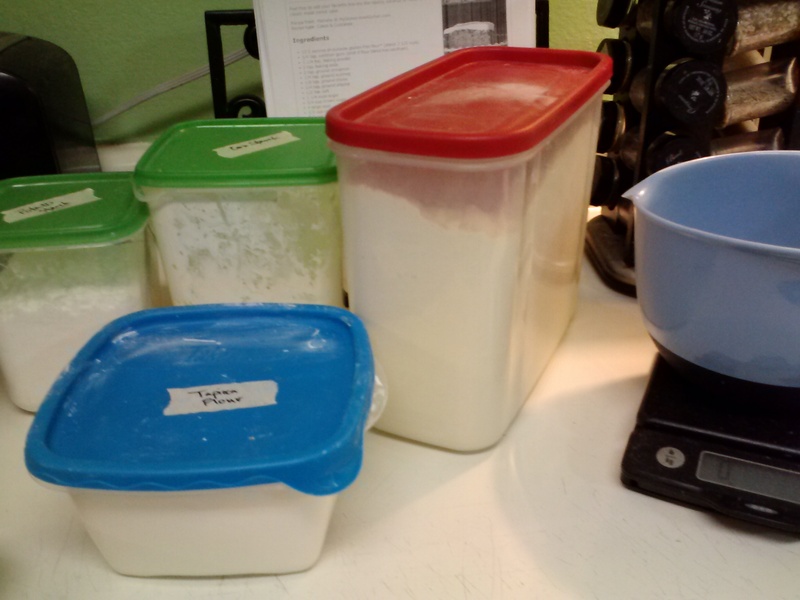 · While you can buy many types of gluten free flour blends, and it's really convenient to do so, also try blending your own flours. Many recipe books will have their own specific type of blend to get the results they want. Fiddle around with stuff, find a mix that you like. My preference is a mixture of brown rice flour with a little bit of potato starch, tapioca starch, and bean flour. · Look for recipes already gluten free. There are tons of recipes that don't need any adjustments at all to make them gluten free. I made pork chops with onions and apples the other day, served over rice. Naturally gluten free! And super delicious! · Look for things with easy adjustments. Substituting rice flour or cornstarch to thicken a soup instead of flour. Getting a gluten free soy sauce. Buying gluten free pasta. Simple changes like this can open up a world of possibilities. My favorite product that has helped me eat a more normal feeling diet: gluten free 'flour' tortillas by Mission. They are so close to regular tortillas it is fantastic. · Sample a variety of products- find what you like! I tried several different types of bread before I found one that I really enjoy, not just tolerate. Look around! Find something that you like. · When buying products that you're not sure are gluten free or not, look for products with simple ingredient lists. If you can read it and pronounce it, it's easier to tell if it is safe or not. · Watch out for other allergies. While going gluten free helped me a ton, it took me another year to figure out I needed to avoid a lot of dairy products as well. I know many people who have issues with gluten cannot tolerate oats, while I can. I also have a tree nut allergy that I have to also look out for. · Safely indulge every now and then (eat a GF donut, not gluten filled one!). It's worth it to have something that is safe, rather than indulge in something that's not safe and regret it for days. · Try simple substitutions before the complex ones. Make oatmeal cookies before you try to make bread. · Know that just because something is gluten free does not make it incredibly healthy. 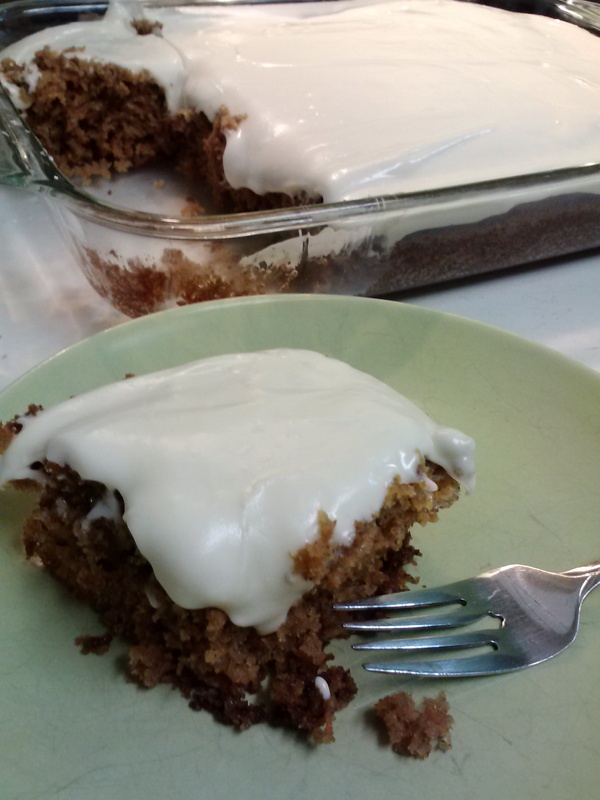 In addition to this carrot cake recipe, I have the most delectable recipe for brownies. Absolutely divine that NO ONE can tell they are gluten free. But they are filled with sugar, butter and more sugar. Not the healthiest recipe, but it sure does taste good. In short, try stuff out! Get to know your body better so you know what is good for it, and what causes more issues. If you need a recipe to try, this one is fantastic! My husband can't tell it's gluten free, my extended family loves it, and it safely provides that indulgence I occasionally crave. Let me know if you have questions or what your favorite gluten free products are!